I got my first set of Blank Canvas Cosmetics brushes about 18 months ago, and they have been a firm staple in my collection since. Then last September, I picked up their HD Face Brush Collection and I was completely smitten, so much so that I purchased another F20 (in hot pink this time!) at the Irish Beauty Show in the RDS in March. These brushes have become absolute staples in my everyday makeup application, so when I spied that Blank Canvas were offering another amazing deal on their website www.blankcanvascosmetics.com, I couldn't not take advantage, and they arrived just two days after I placed my order. When I made my order, I purchased some eye brushes, contour brushes and two palettes, but I am just going to give my low down on the individual eye brushes today. I find with eye makeup that a good set of brushes is almost as essential as eyelids. I know that a bad workman blames his tools but in all honestly, unless you are the Picasso of eye makeup, I doubt you are going to find applying eye make up with crappy, substandard brushes to be an easy or worthwhile task. The one thing I have noticed about all Blank Canvas brushes is that they are so incredibly soft, and as a contact lenses wearer especially with extremely sensitive eyes, I cannot convey how difficult it is to find brushes that do not irritate my eyes. I have never experienced any irritation with Blank Canvas brushes despite very regular usage. I ordered four eye brushes which normally retail for €6.64 each- absolutely bargainous in itself, nevermind the meagre €3.98 price tag during the promotion. The quality of the brushes for the price is mindblowing IMO- natural fibres, sturdy shiny brush handles and secure ferrules. E24- Blending Brush: I genuinely prefer this to my MAC 217 and it was a fraction of the price. It is slightly bigger than the 217. This is a multi-functional brush- great for applying shadow and blending. It also retains its shape well after washing. 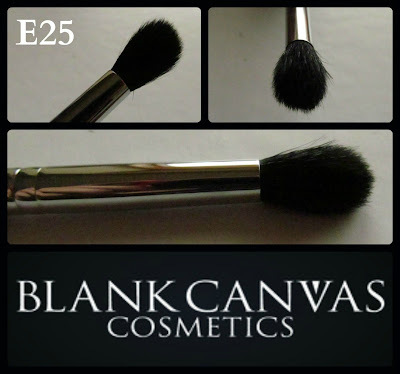 E25 - Round Top Blending Brush: To say that this is like blending your eyeshadow with a cloud would be an understand. Super soft, nice length and density in the goat hair bristles. I'll definitely pick up a few more of these for my collection, seriously great brush, sturdy handle, a must have. E26- Flat Shader/Lay Down Brush: perfect for patting colour onto the lids- holds alot of product and distributes it really nicely across the lid. Great with powder and cream products. E32- Tapered Crease Blender: I believe this is one of the newest additions to the line and what a brush this is- it is literally one of the softest specimens to ever grace my eyelids thanks to the natural goat hair bristles, it is the perfect size and density for neat and effortless blending.This brush looks a little like the E25 but is not as dense and the handle is slightly shorter, and is a smidge more expensive (but still bargainous at €7.59). No.010- Small Socket Blender: This was a free gift with purchase and I was delighted- I already own this brush and used it quite a bit for detailing around the crease and inner corners. Great multi-tasker! I have used and washed these about three times since I got them, and they are all still perfectly intact, without any loss of hairs or any other brush erosion. I like to use Johnson's Baby Shampoo on these brushes because it is quite gentle on the natural bristles and it is very effective at cleaning them. 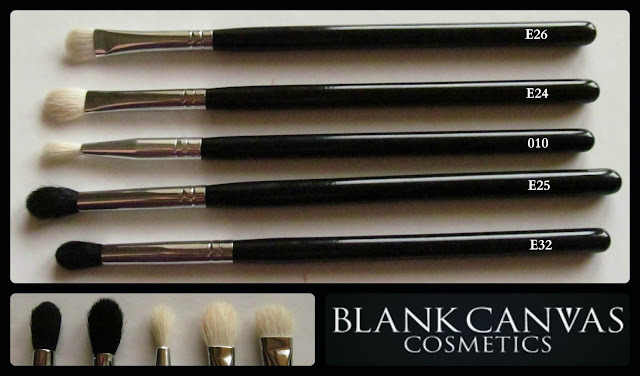 If you are looking for some high quality, low prices brushes, I strongly recommend hitting up www.blankcanvascosmetics.com because they are currently running a 40% off offer until 19th August, and these brushes are a complete steal, plus you would have the added bonus of supporting homegrown Irish business! 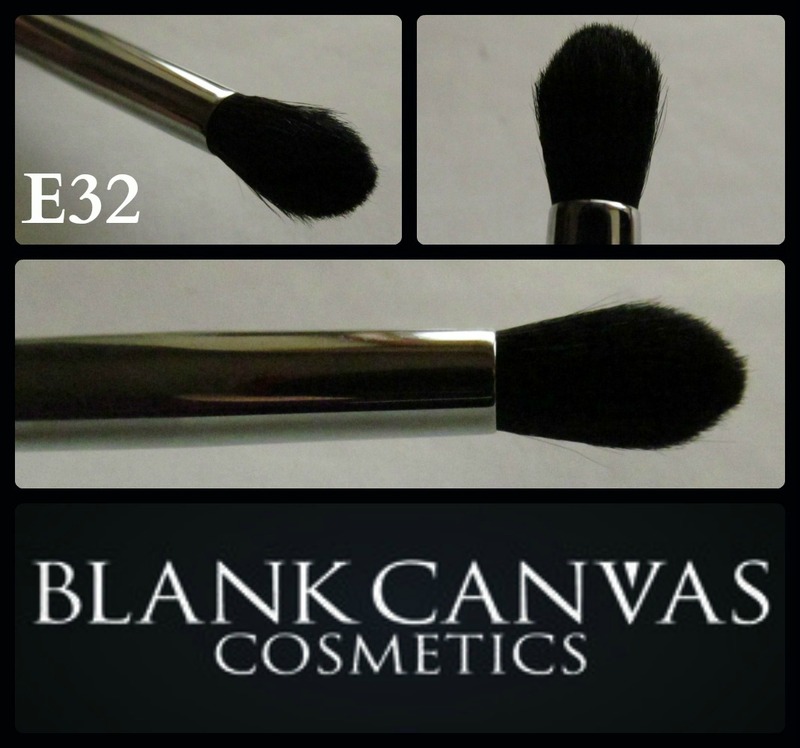 Blank Canvas Cosmetics also offer international shipping and excellent customer service. I cannot recommend them highly enough. I will also review the other brushes and palettes that I picked up in the coming days (I have so much to say about these products that it would have turned into one crazy long post!). 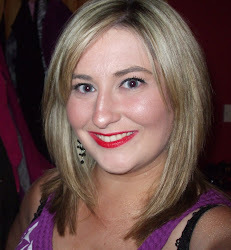 Fabulous cosmetics product, I use my eye liner everyday with wet eyes!!! This post really help me a lot.